All about the 5 Days Kenya Wildlife Safari Experience. 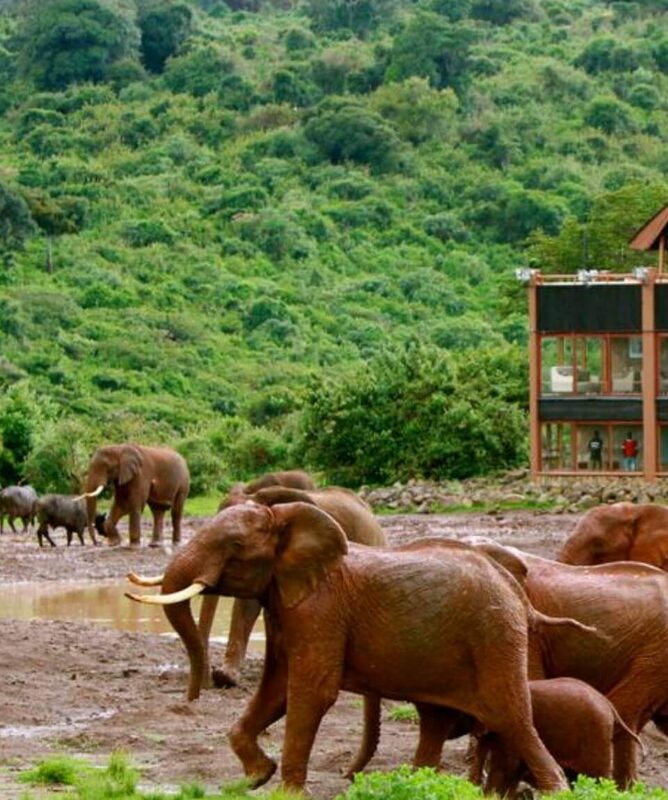 Kenya wildlife Safari Experience package is a 5 day Kenya safari that takes you to the Aberdares National Park Where you will enjoy your accommodation in a tree house, Lake Nakuru National Park which is full of the flamingoes and where you will easily spot the Rhino, and later further south to the Masai Mara Game Reserve where you will have the best opportunity of spotting the Big Five. Depart Nairobi at 0900 hrs for Aberdares National Park which takes about 3 hours drive to the Outspan hotel. You will pass through the industrial town of Thika and the intensely cultivated farms of the central Kenya to arrive in time for lunch at Outspan hotel. Lunch will be served at 1300 hrs. 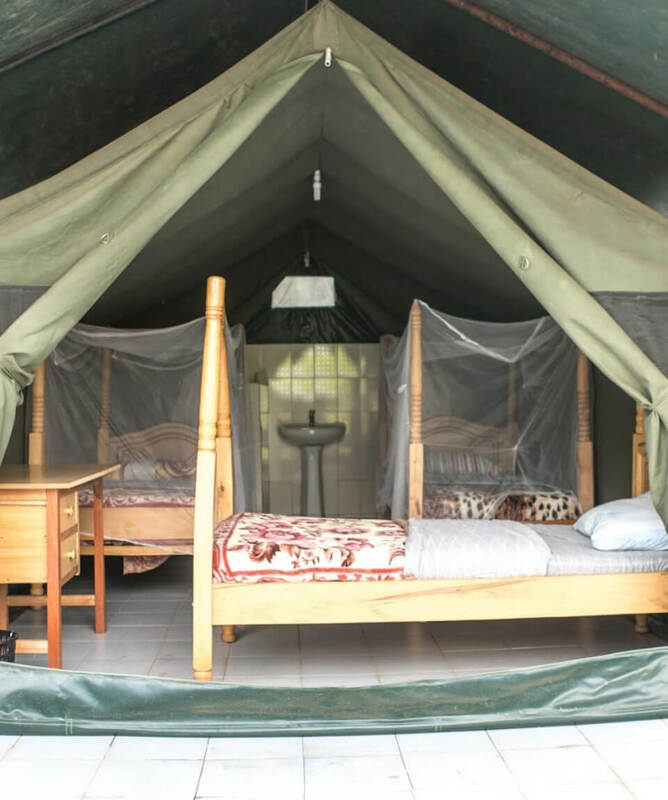 At 1500 hrs you will be transferred in a lodge vehicle to The Treetops Hotel, one of the famous lodge in the Aberdares National Park. Relax the afternoon away as you watch game from the balconies or take an optional guided nature walk. Overnight floodlit game viewing. On this day after breakfast at the lodge, depart in the morning and drive to the floor of the Rift Valley to Lake Nakuru National Park making a brief stop at Nyahururu Thomson Falls to arrive at Sarova Lion Hill in time for lunch. After Lunch, relax at the lodge and at 1600hrs proceed for an afternoon game drive. 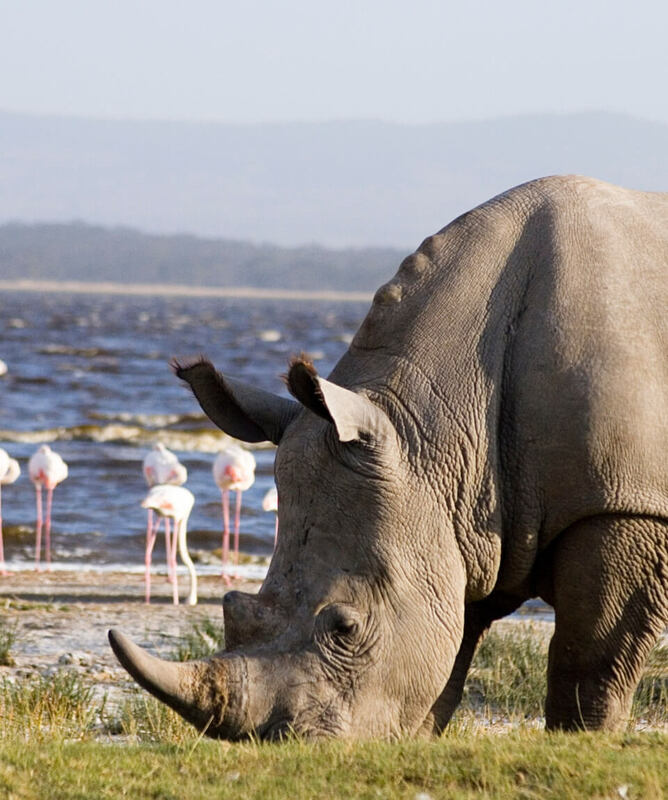 Lake Nakuru’s claim to fame is anchored on its flamingo’s and the over 400 species of birds found here. The lake itself is a soda lake on the floor of the rift valley. The sight of the at times millions of flamingos is quite spectacular. From a distance the lake appears ringed in pink. The Lake has also earned a reputation as an important haven for endangered species- particularly the Rothschild Giraffe and the black and white rhino. Lions, water buck, buffalo and baboons are all residents here. Breakfast at the lodge, later drive to Masai Mara Game Reserve via the Great Rift Valley to arrive in time for lunch at Mara Serena Safari Lodge. After lunch, relax at the lodge where you can opt to read a novel or go for a swim. At 1600hrs proceed for an afternoon game drive till dusk. The Masai Mara National Reserve is Kenya’s finest wildlife reserve, which offers wildlife in variety and abundance: over 450 species of animals have been recorded here. 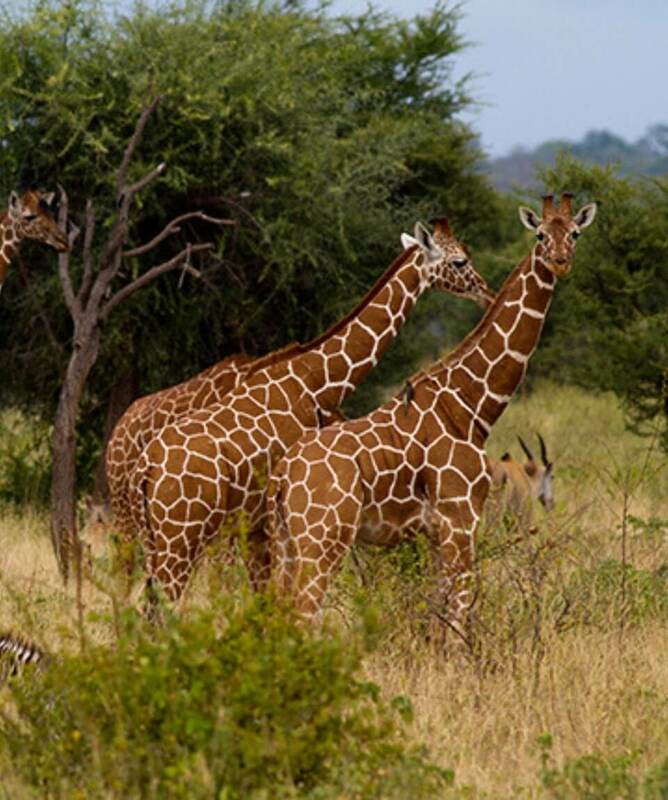 You will easily see lions, rhinos, hippos, crocodiles, giraffe, wildebeests, zebras, buffalo, warthogs, hyenas, jackals, wild dogs, buffalo, leopard, many kinds of antelopes and elephant. It is in the Mara that perhaps the most spectacular event of the natural world takes place. This is the annual migration of millions of wildebeest and zebra from the Serengeti in search of water and pasture. Following on their heels are the predators of the savanna- lion, cheetah, wild dog, jackal, hyena and vultures. On this day spend a full day in the Masai Mara with morning and afternoon game drives. Have an early morning game drive in the Mara. Return to the lodge for breakfast. You spend the rest of the morning at leisure, you can decide to read a novel or proceed for a swim. After lunch at the lodge and relaxation you proceed at 1600 hrs for an afternoon game drive till dusk. Enjoy Kenya hot air balloon safari (at an extra cost) over the Masai Mara. The balloon company will pick you from the lodge to the launching site for the balloon ride. 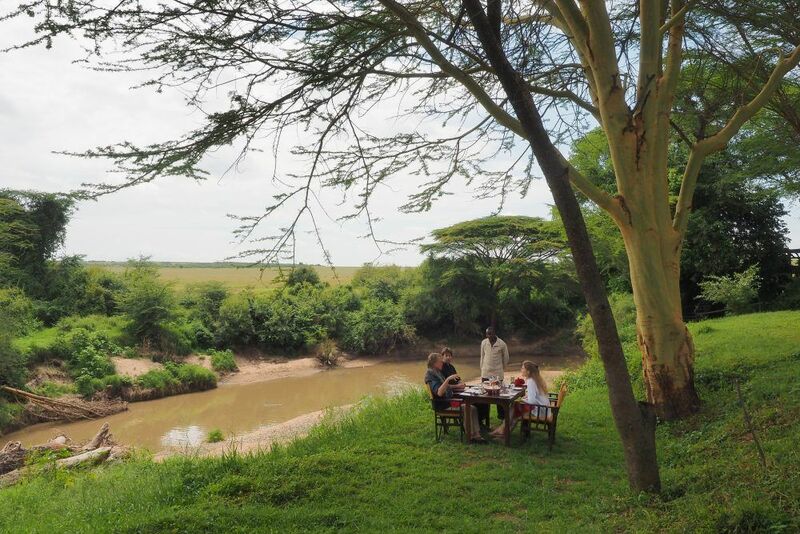 After landing, you will have breakfast in the bush, accompanied with champagne. Transfer back to the lodge by 0900hrs to enjoy the rest of the morning at leisure.